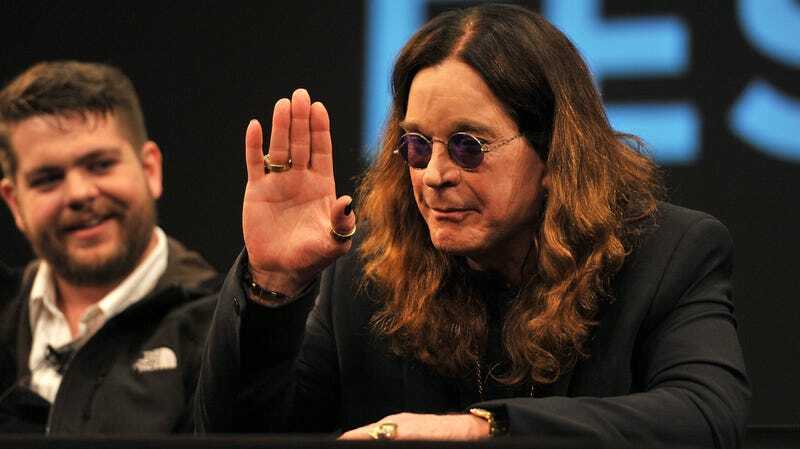 Ozzy Osbourne is canceling the remaining four dates on his North American tour, Rolling Stone reports, due to an infection in his right hand, the very same hand he’s used to set chickens on fire, toss TVs through windows, and shovel life-threatening amounts of drugs into his system. As Ozzy notes, the shows—they include Mountain View, CA; Chula Vista, CA; Los Angeles; and Las Vegas—will be rescheduled for 2019, with existing tickets for the four dates being honored at the rescheduled concerts. Ozzy claims this will be his final world tour, thus the No More Tours 2 tag, though his initial No More Tours run in the early ‘90s clearly didn’t stick. He’ll hit the road again when the tour begins its European leg with a Dublin gig in January. He’s previously said the tour will take him through 2020, while his life will, as the gods have writ, carry on long after we’ve all perished.